Jenny Balfour-Paul, writer, artist, curator, international lecturer and avid traveller is the world’s leading authority on indigo. An Honorary Research Fellow at Exeter University, Trustee of the Royal Geographical Society, Fellow of the Royal Asiatic Society and Explorers Club and President of the UK’s Association of Guilds of Weavers, Spinners and Dyers, she has been consultant for indigo exhibitions, educational programmes, documentary films and for Indigo Sutra in Kolkata in 2017, and promotes worldwide revivals of natural dyes. 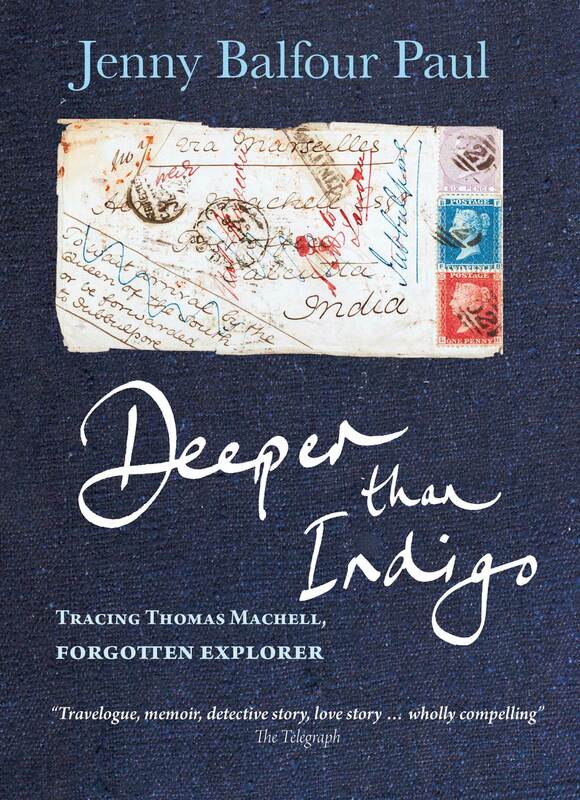 In this special illustrated talk, the speaker discusses her acclaimed book Deeper than Indigo (2015): biography, memoir and reimagining of the journeys of remarkable 19th century indigo planter and explorer Thomas Machell, whose journals she discovered by serendipity in the British Library. Adventures in his footsteps took her to China and to former indigo and coffee plantation lands in India and Bangladesh. She also followed him by local cargo ship to remote Polynesian islands and by freighter to India via the Red Sea and coasts of Arabia, where both faced pirate attacks.